Nice - got any more photos of it? Very nice, thanks! Are those printed textures on the walls? also made this foam bridge support. 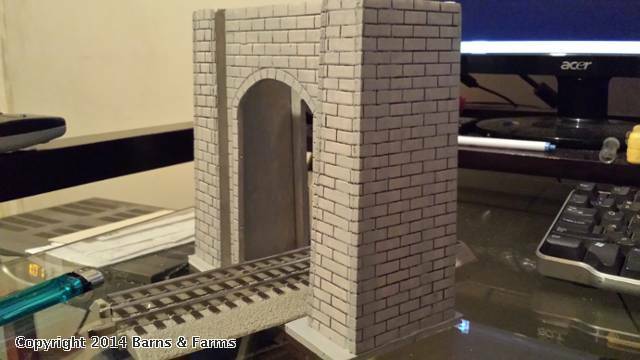 peeled one side off and drew on the bricks then painted it was roughly modeled after rod stewarts bridge supports. Holy Smacks! John that bridge is drop-dead gorgeous! 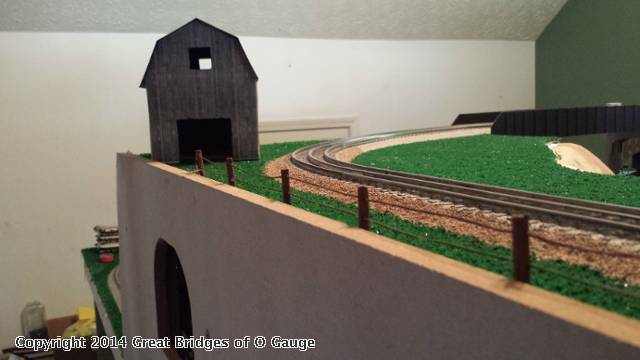 Please, if you haven't already, post a separate topic about it in the Great Bridges of O Gauge category. We really must see more of it! 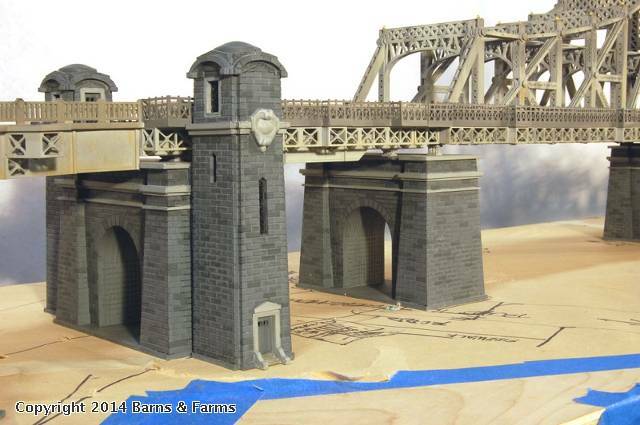 I didn't do the last picture it is Rod Stewart's queensboro bridge it's in Ho scale and 10 ft long I didn't build it but the bridge support I copied for my bridge. Oh I got it - hey that is super cool - still post about any of these in the great bridges category- these are great! And is that a rainbow of Corvettes? 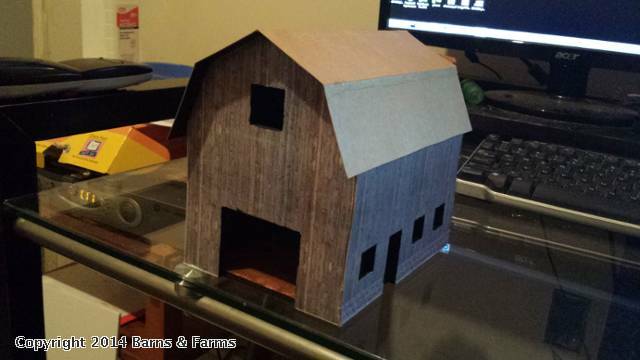 The photos of your barn and bridge supports show up bigger for me here than I saw when you posted on OGR Forum. 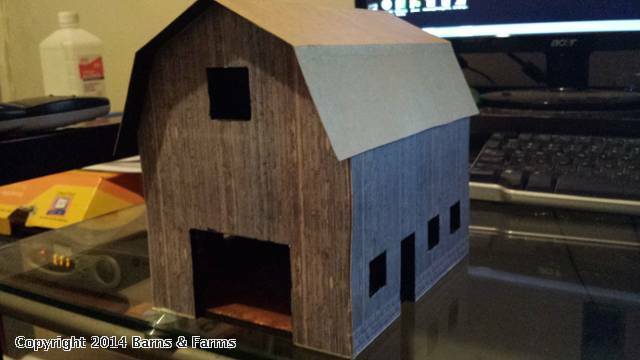 The barn is good. 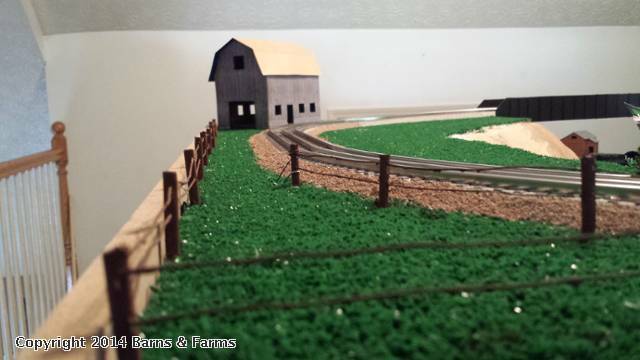 I think I will be doing something similar for buildings when I get to build my next layout. 20 years without a real layout has been a drag! Now on to your bridge supports. 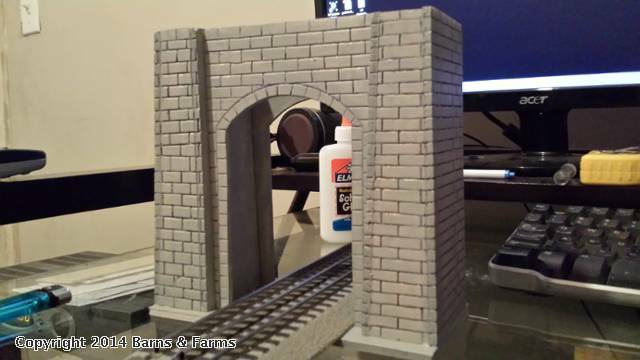 I read how you made your retaining wall on OGR Forum, but I can better see the detail of the bridge supports here. They look very good, and another low cost way of getting the job done. While I have enough trains to run, I will be having to purchase lumber and track. I can do some shopping around, but I hope to be very cost conscious when it comes to my scenery. 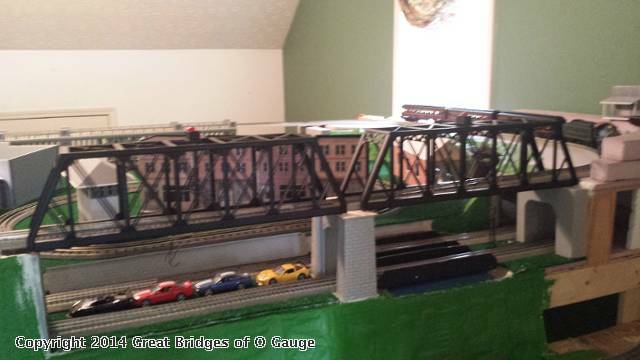 Yes I saw Rod Stewart's bridge in a recent Model Railroader. 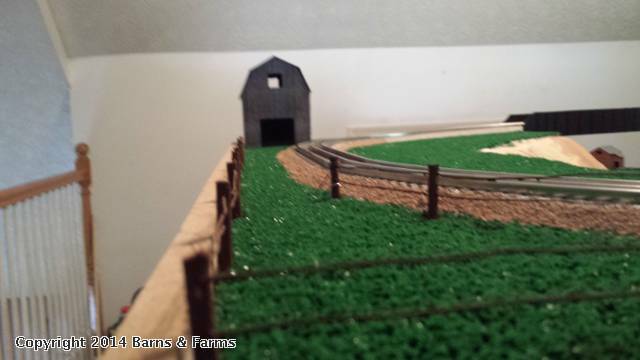 Rod is a fantastic modeler, although he doesn't have the cost restraints we do. More power to him!